This website was created to organize and archive a conference on the history and legacy of Science for the People (SftP), held in April 2014 at the University of Massachusetts, Amherst and hosted by the Social Thought & Political Economy Program. The site will be maintained as a hub for studying the history of Science for the People and for future organizing. We invite visitors to explore the Conference tab for video of all conference sessions, along with abstracts and presentation files for many of the presentations. We also invite you to explore the History tab for historical materials on the movement, which includes many SftP publications along with FBI files obtained through a FOIA request. To learn more about the recent Science for the People revitalization effort, which was recently profiled in Science Magazine, please see the organization website. We are delighted to announce our new book Science for the People: Documents from America’s Movement of Radical Scientists, scheduled for publication with University of Massachusetts Press in December 2017! Please “like” our facebook page to learn more about the book and stay updated as we approach December. 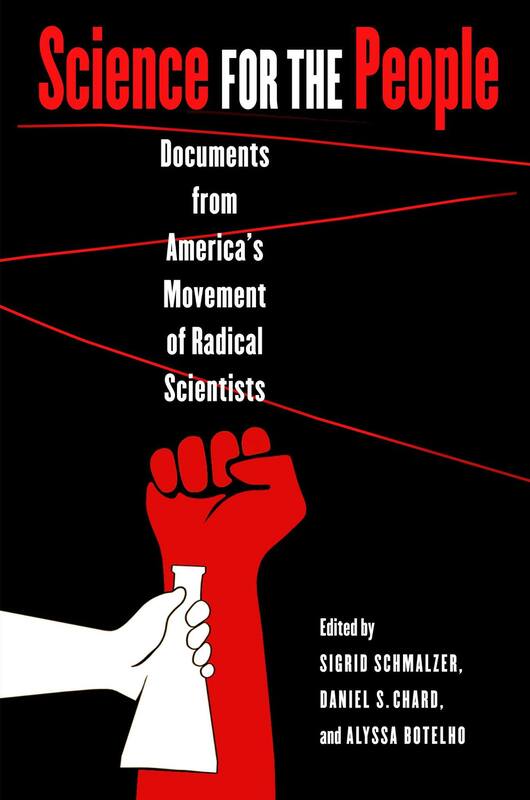 This book, which arose out of many fruitful conversations during the 2014 conference, is the first compilation of original documents on Science for the People. Many thanks to our fantastic editor Matt Becker, our contributors Ben Allen, Colin Garvey, and Thomas Conner, and all of the original SftP members who have generously donated their time and materials in this effort. Our hope is that the book will draw interest from students, scientists, STEM workers, and scholars, as well as activists interested in a science that promotes human welfare and ecological sustainability over militarism and corporate profits. We hope, of course, that this reader will serve as a historical resources (and at points, a guide) for the current Science for the People revitalization effort. Science for the People (SftP), the most important radical science movement in U.S. history, arose in 1969 out of the anti-war movement and lasted until 1989. With a Marxist analysis and non-hierarchical governing structure, SftP tackled the militarization of scientific research, the corporate control of research agendas, the political implications of sociobiology and other scientific theories, the environmental consequences of energy policy, inequalities in health care, and many other issues. Its members opposed racism, sexism, and classism in science and above all sought to mobilize people working in scientific fields to become active in agitating for science, technology, and medicine that would serve social needs. Through research, writing, protest, and grassroots organizing, SftP sought to demystify scientific knowledge and embolden “the people” to take science and technology into their own hands. SftP’s numerous publications played a formative role in the field of science and technology studies, challenging mainstream understandings of science as “neutral” and instead showing it to be inherently political. Its members, some of whom held prominent university positions, served as models for politically engaged science and scholarship by using their own knowledge to challenge, rather than uphold, the social, political, and economic status quo. They organized in universities and communities, published a magazine offering sharp political analysis, and sought meaningful scientific exchange internationally in Vietnam, China, Cuba, Nicaragua, and other countries.